I will complete a Microsoft Office task* for you using MS Office Professional 2013. 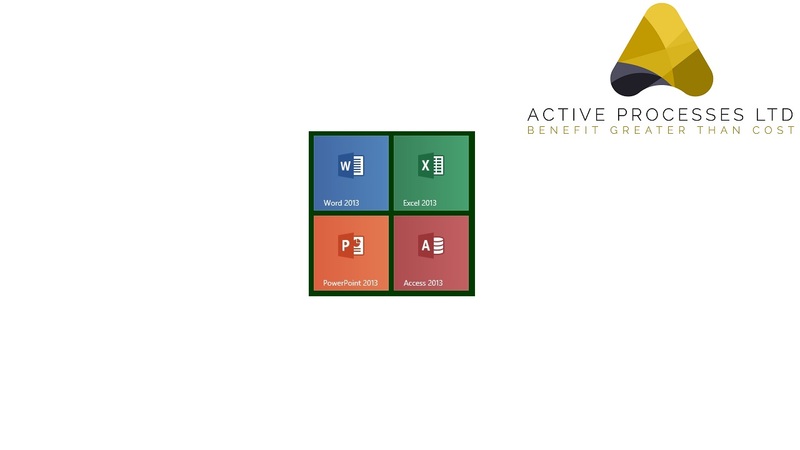 *This hourly is for any tasks up to half day in Word, Excel, PowerPoint, Visio or Access, about 3½ hours work. My credentials are: Microsoft Office Specialist (MOS) certification and a few decades worth of expereince. Please note this Hourly is not for artistic or creative work it’s just for functional MS Office tasks. However a few graphics, a logo, or SmartArt is OK. Also no VBA or other programming tasks please. And finally the 3 day delivery pledge excludes Sundays and only includes Saturday by arrangement. Please contact me in the first instance, a heads up is always appreciated; thank you and look forward to hearing from you. And finally if the task you have in mind is smaller than 3½ hours please send a message. I'm sure we can come to an arrangement. Please supply any graphics. This Hourly is not for artistic or creative tasks but, a few graphics or a logo is OK.
Also VBA and other programming tasks are not included in this Hourly.